Groovy! 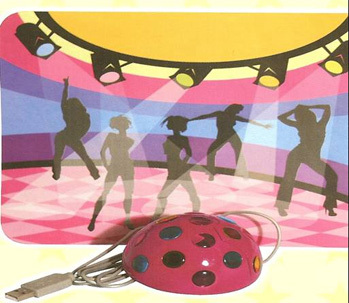 The disco ball mouse lights up when in use. Mousepad included,too!